We’ve found great deals at 1111 hotels! The five-star Lijiang Waterfall Hotel (Lijiang Fandian) impresses visitors on first sight with its signature waterfall tumbling down over the building's north face. The location is equally impressive, facing Fir Lake and adjacent to Elephant Trunk Hill (Xiangbi Shan) to the south and Solitary Beauty Peak (Duxiu Feng) to the north. The surrounding gardens and woods are also very nice. A stellar view of the city is found on the balcony on the 13th and 14th floors, but all rooms and suites offer good views of Guilin's spectacularly photogenic scenery. Thirteen restaurants serving both Chinese and Western foods won't disappoint. The large conference room (seating 400) will also come in handy if you happen to be in Guilin for business rather than pleasure and need to host a large meeting or function. 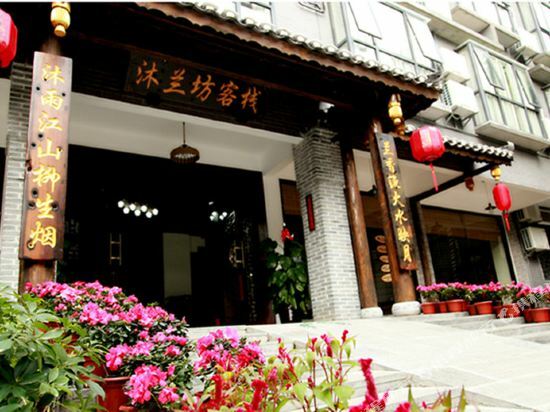 Guilin Tailian Hotel is located at the Zhongshan middle street, the city center of beautiful Guilin. It takes only 5 minutes ride to the famous sights Elephant Trunk Hill and Two Rivers &Four Lakes. Our hotel was opened in 1987. It has a long history and got high praises from the customers from all over the world. After the renovation and upgrading in 2016, the hotel is become a Four Stars business Hotel with strongly modern oriental style. There are total 268 warm rooms, all with complete facilities. And there is a elegant western restaurant and famous Chinese restaurant which can offer the Cantonese Morning tea. Start your good day from the delicious food. Moreover, we have three multifunctional conference halls with first class facilities, for 60－100 people at most to have conference at the same time. Our professional, careful, thoughtful service will makes you a NO WORRY business trip. We also have a Health Center, where you can relax yourself after work. By the way, our hotel has convenient transport. It takes only 5 minutes ride to the South railway station, and only 30 minutes ride to the airport. There are difference supermarkets, restaurants around the hotel. It is definitely the best choose to stay in our hotel. “Staying in Tailian, makes you comfortable and safe.” We will serve you with all our hearts. 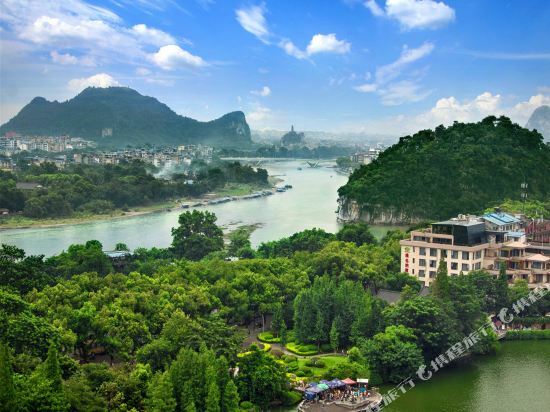 Situated on the bank of Li River in Guilin which is well-known for its unique mountains and beautiful rivers, Grand Link Hotel is not only facing the Elephant Trunk Hill but also next to Seven Star Park and Zi Zhou Park. 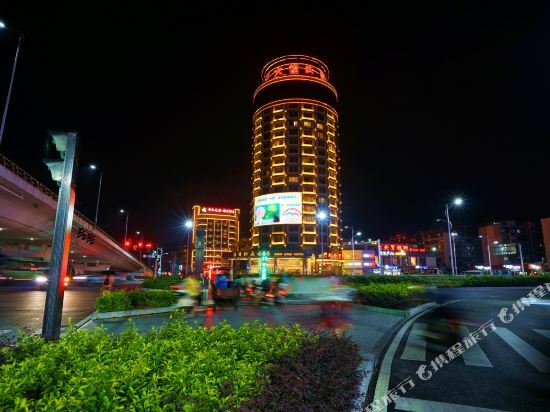 There are about 10 minutes from the hotel to the City Center, Railway Staion, Hi-tech Park, Guilin International Conference & Exhibition Center by car, 45 minutes to LiangJiang International Airport. 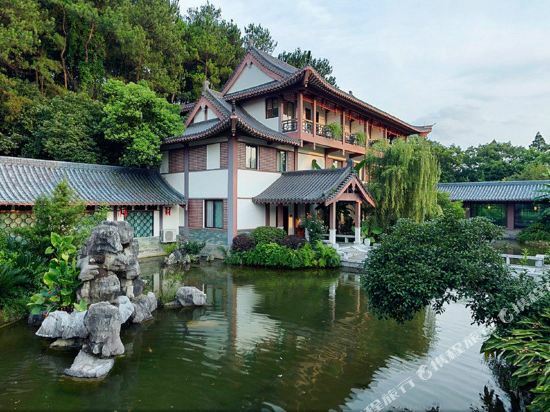 It is the unique garden-style resort near Park in Guilin. Grand Link Hotel has 581 luxurious rooms and suites. The building is a garden-style, which is surrounded by the Sping Garden, Summer Garden, Autuman Garden, Winter Garden; There are Royal Orchid Café , Hexi Chinese Restaurant, Balmy Restaurant, Whisper Garden Lounge and Japanese Restaurant, you can enjoy all kinds of specialties in Europe and American taste, Guangxi cuisine, Cantonese cuisine, and Thail food; There are 11 meeting rooms with a total area of 1400 square meters, which can accommodate 10-800 people. One of the meeting rooms, Grand Ballroom is a multi-function column-free room with area of 629 square meters. It will make your conference trip more ease and convenient with the advanced audio-visual equipment, complimentary 6G Wifi and professional service team. In the hotel, there are a large parking lot which can park 200cars, business center, Travel Boutique, tour information, swimming pool , fitness center and other facilities. 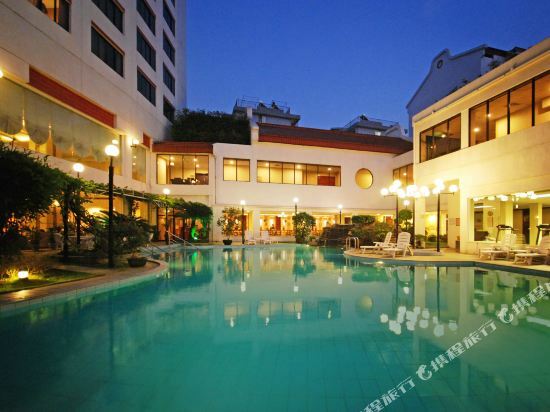 Grand Link Hotel would be your best choice to enjoy holiday and business travel. 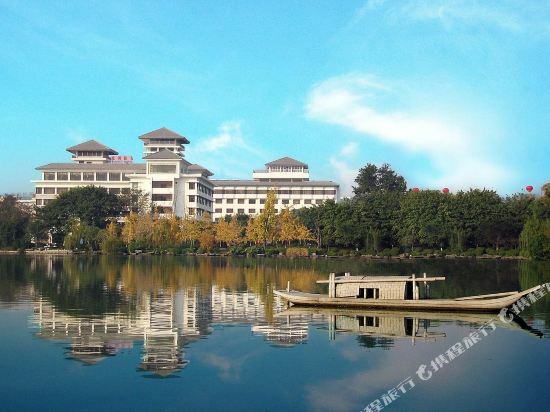 Opened in 1953, the Ronghu Lake Hotel (Ronghu Fandian) is located in bustling downtown Guilin on the west bank of tourist favorite Banyan Lake, just a 10-minute walk from the railway station and 25 km (16.1 mi) from the airport. 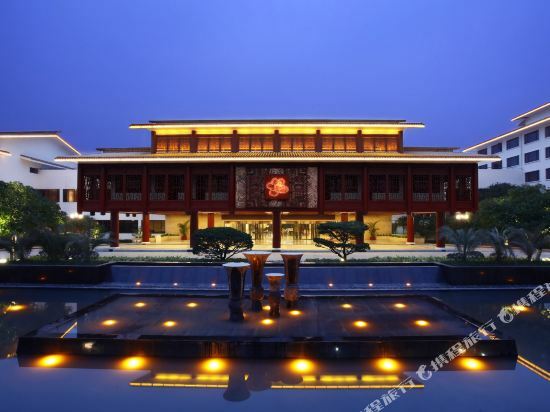 The hotel is built in villa style and is Guilin's appointed state guesthouse. As such, the hotel has welcomed presidents and heads of state from many countries. Guests of the hotel can choose from variously sized guestrooms with room types including twin rooms, queen rooms and executive rooms. The hotel boasts a business center housing a conference hall equipped with a simultaneous interpretation system, as well as a fitness center, beauty salon and billiards room. Services at guests' disposal here include laundry, car rental, currency exchange and travel services pertaining to both trains and boats in the area. 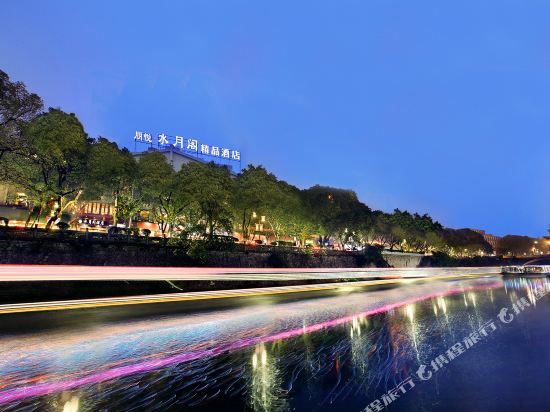 Located on the banks of the Taohua river, the Vienna Hotel Guilin (Guilin Weiyena Jiudian) enjoys close proximity to Zhongshan road. This Guilin hotel features a decor showcasing continental European styles. A sound choice for business and leisure travelers both. In Guilin, there is a unique resort hotel with humanity--- Elephant Trunk Hill Hotel. Elephant Trunk Hill Hotel is next to the Elephant Trunk Hill Park, which is a well-known scenic spot of Guilin. 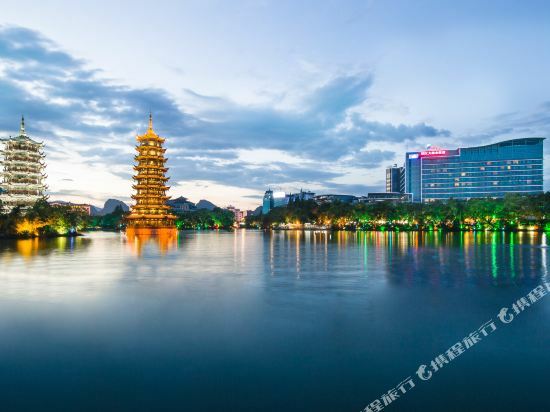 With the unique gentle sentiment of Guilin landscape, and temperament and deposits of Guilin’s culture, we can provide an elegant and leisure space for tourists to relax. Our style is luxurious, exquisite, high taste and elegant, and our hotel’s main aim is to relax your mind and soul and keep your mind in peace.<br> Elephant Trunk Hill Hotel has 34 guest rooms,and the other places are used for the lobby, internal courtyard, leisure courtyard, book bar, tea bar, private KTV, fragrance-smelling dining hall and Terrace bamboo garden and so on.<br>No wisdom, no boutique. Our hotel is equipped with advanced intelligent RCU (room control unit), Duya electric curtain, anti-glare sensor light, Toshiba intelligent VRV central air conditioning, Daikin micro circulation net sound fresh air system, one Wi-Fi for one room, and iPTV. Everything is an invisible luxury.<br> In 2014, the “Water Moon of Elephant Trunk Hill” in Guilin was selected as one of the ten “most beautiful sites for enjoying the moon” in China once again. Elephant Trunk Hill Hotel is more than a hotel. She'll give you a quiet and comfortable sleeping environment, and bring you an elegant travel experience. Here you can enjoy the delicate and elegant Guilin scenery and humanity, and sincere services. 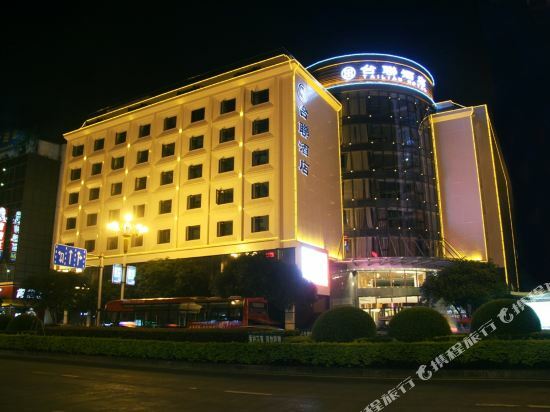 The Guilin Bravo Hotel Grand Wing (Guilin Binguan Guibin Lou) is only a ten-minute walk from the most vibrant area of downtown Guilin and grants guests with easy access to the Xiangshan night fair.<br><br>There is a large buffet restaurant available for diners choosing to dine in.<br><br>Large and small meetings or cocktail parties can be arranged in one of the four functional halls. The 24-hour business center offers faxing, typing and translation services for business guests. Jolie Vue Boutique hotel Guilin was formerly Golden Oriole Hotel Guilin, it was founded at the beginning of 2014, redecorated and re-branded in July 2017. The hotel is right opposite the iconic Elephant Trunk Hill and located by the picturesque Li River. Jolie Vue Boutique hotel enjoys a superior geographic location. Guests can reach Two Rivers Four Lakes Cruise Terminal and the Moon and Sun Pagoda Scenic in 3 minutes’ walk. 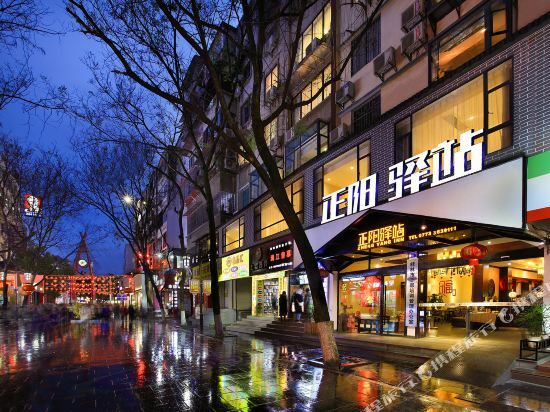 The Zhengyang Pedestrian Street and Shangshui Food Street are both in 7 minutes’ walk. It only takes 5 minutes’ driving to Guilin bus station, 8 minutes to Guilin train station and about 40 minutes to the Guilin International Airport. It is very convenient for traveling, shopping and business negotiations idea. 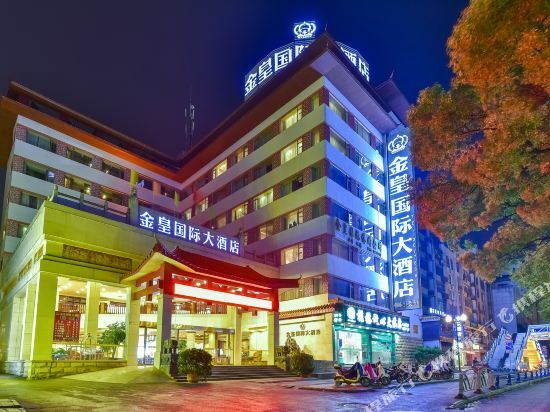 The Golden Grown International Hotel (Guilin Jinhuang Guoji Dajiudian) is a leisure and business hotel located in Guilin’s downtown area. 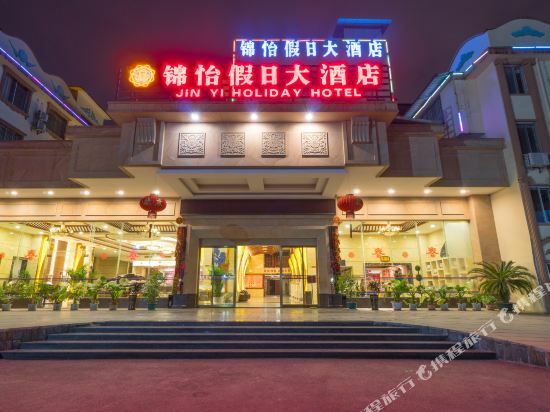 Close to the Guilin International Exhibition Center, a stones’ throw from the railway station and with many of the city’s famous attractions within easy reach, this hotel is a good choice for both tourists and business travelers alike.<br><br>The hotel provides free parking, Wi-Fi throughout the building, a travel and ticket reservation center and currency exchange for guests’ convenience.<br><br>The on-site restaurants serves Western cuisine for those in need of some home comforts, while the coffee shop and bar offer a selection of beverages and snacks.<br><br>Well placed to facilitate the needs of those in the city on business, the hotel has a business center and numerous meeting rooms.<br><br>After a long day, guests can take advantage of the hotel’s professional masseuse service before heading to one of the private karaoke rooms for a night of singing. 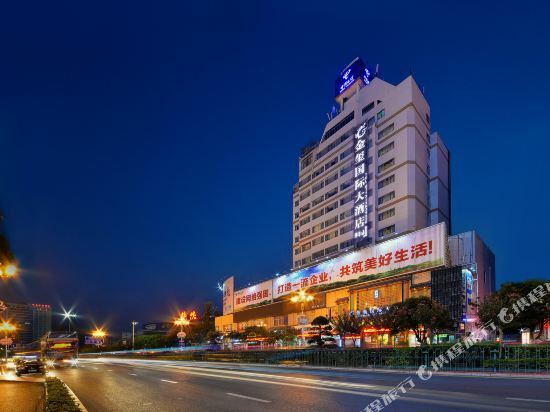 The Zhongshui International Hotel (Guilin Zhongshui Guoji Jiudian) is a leisure hotel situated on Chongxin Road, in south Guilin. With many attractions nearby, including the Guilin Art Gallery, 1001 Fairyland and the famous Lijiang River, guests will find plenty to keep them occupied. The hotel provides free parking, Wi-Fi in all public areas, ticket reservation, room service and an airport pickup service ensuring a convenient and carefree stay. The on-site restaurant serves a range of delicacies for Chinese and Western palates, and a coffee shop serves an assortment of snacks and beverages. Business facilities include conference rooms of various sizes that are well appointed with state-of-the-art amenities and have capacities ranging from 20 to 150 people. 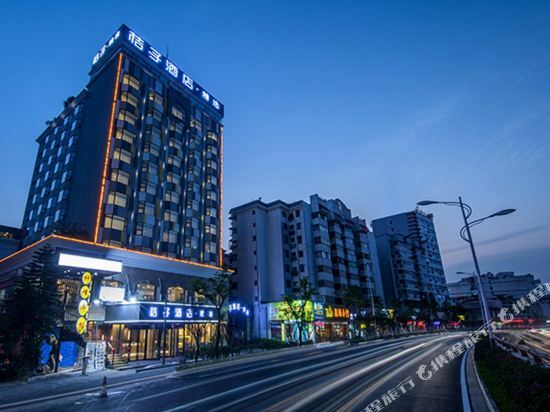 Created by Ctrip International in 2008, the Hotel chain offers spacious budget rooms equipped with high-quality bedding and all the standard amenities. 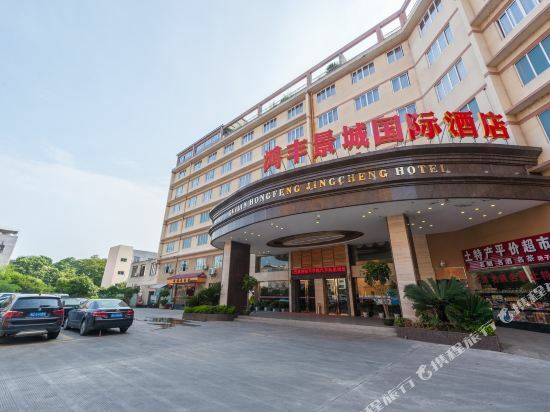 The Guilin Hongfeng Jingcheng International Hotel (Guilin Hongfeng Jingcheng Guoji Dajiudian) is located on Chongxing Road, in south Guilin. 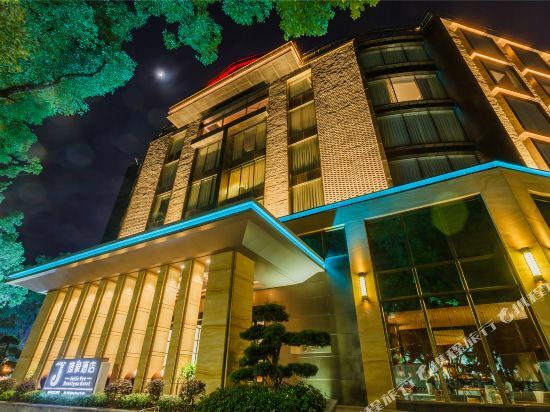 Close to South Xishan Park, where there are beautiful cherry blossom trees and a stone engraved with an ancient Chinese poem, Guilin National Forest Park and Heishan Boanical Garden, guests at this hotel will find plenty to see and do.<br><br>With an airport pickup service, currency exchange, ticket reservation, free Wi-Fi throughout the hotel, free parking and a free map of the area, guests will enjoy a carefree stay.<br><br>Dining options include a excellent Chinese restaurant and a comfortable coffee shop.<br><br>Well positioned to cater to the needs of corporations or those in the city on business, there is a function hall, meeting rooms and a business center, all equipped with the latest technical systems. 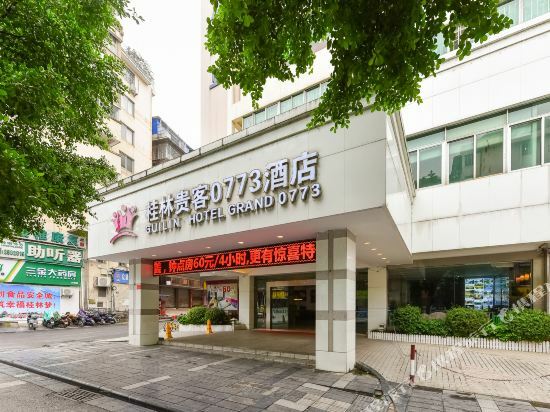 Situated in downtown Guilin, the Guilin Hongkong Hotel (Xiangjiang Dafandian) is close to the railway station, a long distance bus station and several bus lines. 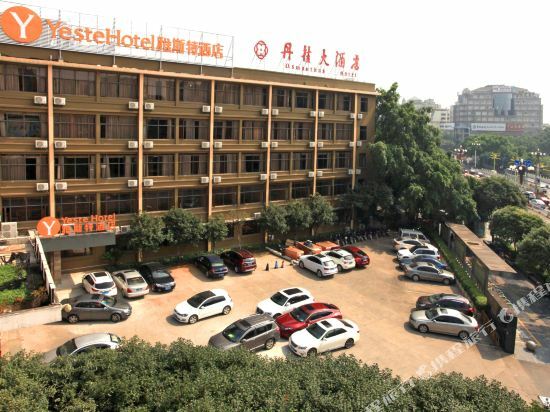 Various rooms in this Guilin hotel come outfitted with air conditioning, satellite TVs, international direct dial telephones, safes, mini-bars and free broadband internet access. Guests traveling the city on business will find a business center and multifunctional hall ready for use. To unwind, guests can go to the KTV rooms or enjoy a good steam in the sauna. 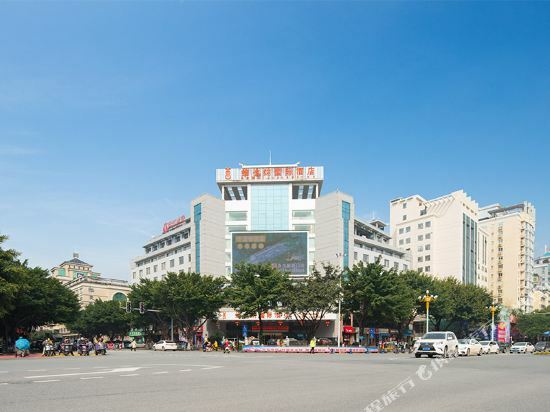 The Guilin 26° hotel is located in Chongxin Road Hongjie Commercial Plaza, close to Nanxishan Park, Heishan Botanic Garden and Lianda Shopping Plaza. 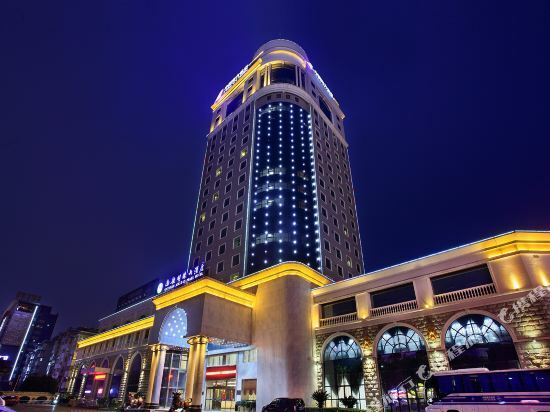 It is a 55-minute drive from Guilin Liangjiang International Airport.<br> <br>This hotel offers free parking and Wi-Fi access in public areas.<br><br>Guests can enjoy Chinese cuisine at the hotel’s restaurant.<br><br>Business travelers can host meetings and events in the hotel’s on-site conference rooms. 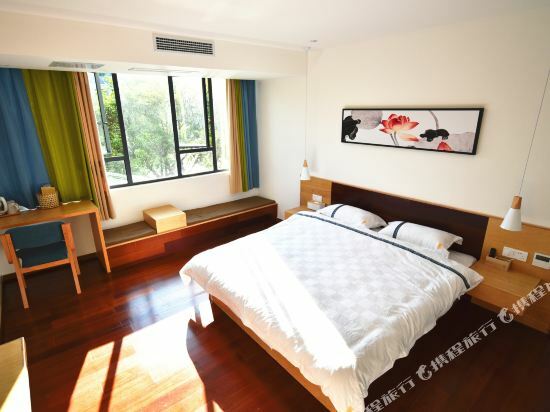 Ease Hostel (Two rivers and four lakes branch) is located at No.7 Xinyi Road, Guilin, Backs on the Peach Blossom River, which is the tributary of Lijiang River. Ease Hostel (two rivers and four lakes branch) is the brand of Ease Hostel with 120 square meters of public leisure space, billiards, cinema, reading, coffee, drinks, and also is suitable to give the party. The rooms are made of low carbon environmental protection material, is a bit IKEA Nordic style. Our pursuit is appropriate, advocate moderate consumption "Suitable to myself", our concern is your experiences, at the same time, pay close attention to your travel experiences. If you want to stay in the best hotel in Guilin, China, please come to Trip.com for a custom trip. Staying in exclusive Guilin Xiangshan District hotel Trip.com offers, you can fully relax and enjoy the stay in Guilin and around Guilin. 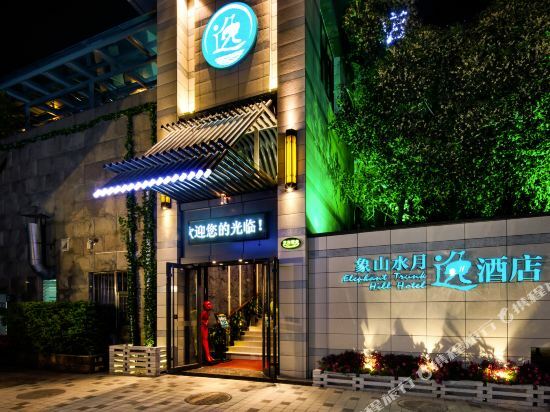 All these Guilin Xiangshan District hotels lead in the industry in aspects of environment and recreation facilities, providing the best hotel service in Guilin. 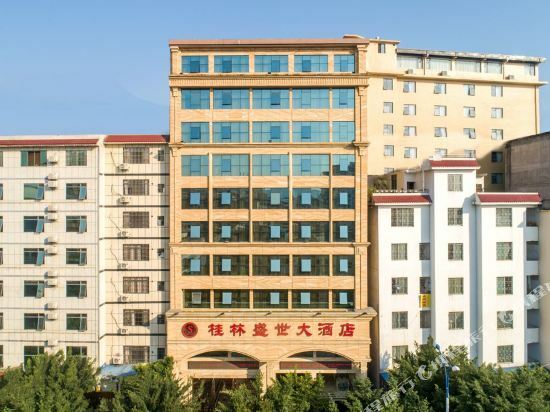 To ensure that you can find the latest Xiangshan District hotel in Guilin, the latest hotel price as well as hotel facilities and indoor facilities information will be offered. In the meantime, detailed photos of Guilin Xiangshan District hotel will be displayed, making you know quickly whether hotel’s interior environment meets your taste. 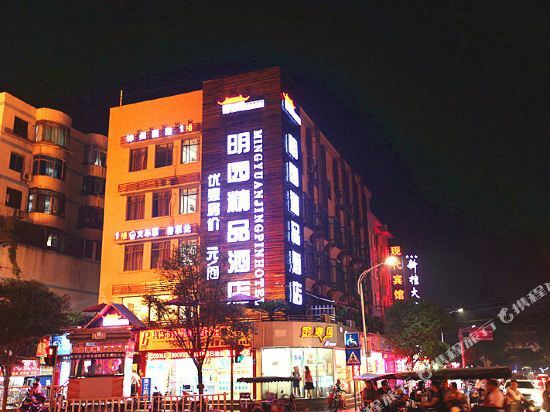 Besides, you can know specific location and reviews on Guilin Xiangshan District hotel from millions of users. If you want a nice room with limited budget, please filter through price and distance to get an appropriate Guilin Xiangshan District hotel. 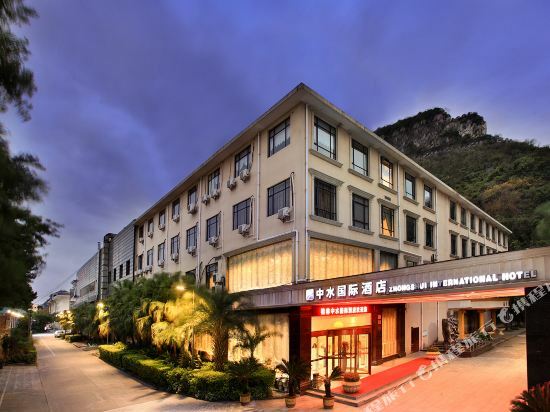 To ensure you can experience the best Guilin Xiangshan District hotel, users and we give a comprehensive rating on hotel, which gives useful help. Believe it or not, as the biggest online travel service company, we have the best service assurance and perfect users’ experience to meet your requirements in different aspects, no matter it’s Guilin hotel or Guilin Xiangshan District hotel. 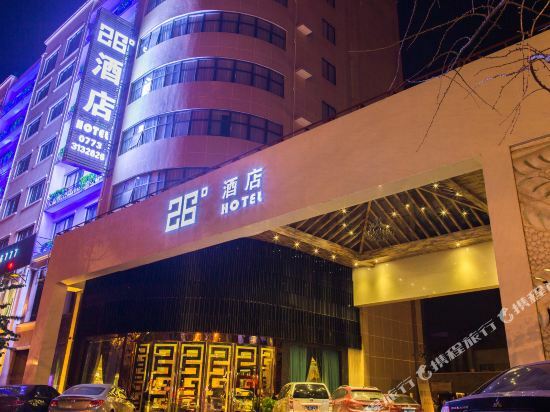 Guilin hotel information & deal: Check out room rates, photos, a map and reviews of hotels in Guilin and find the best deals on Guilin hotels. 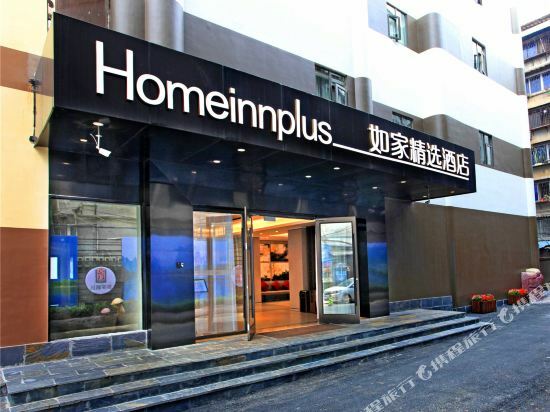 Trip.com offers big savings on online reservations for Guilin accommodation. Book Guilin vacation packages and Guilin tours with huge discounts on Trip.com!